Thanks to Gaetano for highlighting which is something I hadn’t noticed before. 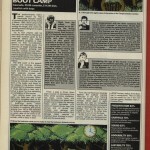 In Zzap 64’s review of 19 Boot Camp Part 1, it seems they either reviewed an earlier build of the game, or they used screenshots provided/from a preview (taken some time before). 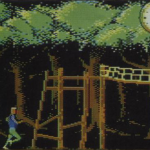 The shots are clearly different to the final game, with the assault course showing a hi-res layered main character, and a far more complex climbing frame. The shooting gallery part is different too – with a more simplistic zoomed target viewer. 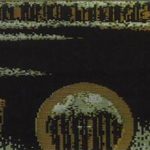 Contributor Alex Edge mentioned in the comments that John Menzies (coder of Traz) had written the initial game, before leaving Cascade, where Joe Booth and Mark Greenshields took over to complete the game. This early version was written by John Menzies (Traz). John left Cascade games and new coders started from scratch – Mark Greenshields & Joe Booth. I worked at Cascade games 1988-89. Thanks very much Alex! Updated the page. Just out of interest, what did you work on at Cascade Games? I was originally interviewed as a C64 coder straight from school (O Levels). During the interview I mentioned I had just got an Amiga 500 and HiSoft Devpac and was making good progress coding it! Richard Naylor asked if I would come back with a breakout demo for the Amiga – Cascade had just released Traz on C64 and obviously wanted it converting to other platforms. Two weeks later I returned with a reasonable demo, 2 playfields, one scrolling above the other, HW sprites for bat and ball etc. They hired me! Then begin my short career as a freelance coder! I worked for Enigma Variations (Richard Naylor & Mark Greenshields) and completed Gilbert Escape from Drill (Amiga). I was kidnapped and made to finish it at Richards house. Mostly good memories and an amazing time for a 18/19 year old.